I said recently that I believed this issue had gone from tinfoil hat to a Media Blackout, and that I was going to be absolutely relentless about this issue because where there is smoke with The One, there is fire. I want to thank Susan over at That’s Me On The Left for finding this article with an amazing bonanza of logistical information inside this article that “We The People” can use. Remember, we are America, not the politicians that have been so adeptly ignoring us. So people…what are you going to do?….let’s make sure this story gets legs and the SCOTUS and House Judiciary Committee DOES THEIR JOB!! The media bought it. The voters bought it. And now some in Congress are resisting the idea of congressional hearings because they believe that Barack Obama’s “birth certificate” has been posted online. What was posted was not a birth certificate, but something that resembles a “Certification of Live Birth” or COLB, which, even if authentic, does not prove “natural born” U.S. citizenship. You see, in Hawaii, a Certification of Live Birth is issued within a year of a child’s birth to those who register a birth abroad or one that takes place outside a hospital. If you were a natural born American citizen and had it within your means to quiet all the lawsuits and questions with proof, would you do it? If you were a natural born American citizen, would you forge a document called a “Certification of Live Birth” and tell the public it was a real “birth certificate”? Polarik has submitted a signed affidavit and has now released his findings on video at www.ObamaForgery.com with his identify masked and voice altered to guard against the carrying out of threats, which he has already received. The Summary: The Certificate of Live Birth documents posted on Mr. Obama’s website www.fightthesmears.com, Daily Kos (a pro-Obama blog) and factcheck.org, (a pro-Obama political research group), were found to be altered and forged. The problem of the pixels: When you have a green patterned document such as this, there should be a lot of green pixels from the background showing up between the letters that appear on the certification. But in this case, instead of green pixels, there are white and grey pixels between the letters, which result when you replace existing text with other text. There is no second fold line. The pictures show two folds – necessary to fit any COLB into an envelope for mailing, but the document itself shows only one fold. This is another indication of document alteration. There’s a blurred border. The border has a lower resolution than the rest of the document, which is another indication that it has been altered. The seal and signature stamp are from a 2008 COLB. As revealed by a process called edging, the Hawaiian seal and signature stamp on the back of the document are revealed to be from the wrong year! Be sure to sign the petition demanding evidence of Barack Obama’s constitutional qualifications. So, if the experts are right, Obama forged a Certification of Live Birth to fool America. In addition to the automatic Indonesian citizenship granted to a child acknowledged as a “son” by an Indonesian male citizen, and the Indonesian citizenship listed in Obama’s school records, Obama then traveled to a place where Americans weren’t allowed to go, but citizens of Indonesia were. If he obtained an Indonesian passport on his trip in 1981, he effectively renounced any American citizenship he may have had and cannot serve as president (or “rule” as president, as members of his campaign have stated). These are serious questions that must have answers. Our Constitution matters and defending it is going to take an outcry from the public. The electors vote on Dec. 15. The numbers are below and your immediate action is critically needed right now. Do it before defending our liberties costs a lot more than making some phone calls and writing a few letters. Lamar Smith (Texas), ranking member, critical in any hearings: 512-306-0439 Austin, 830-896-0154 Kerrville, and 210-821-5024 San Antonio. How important is the Constitution to you? Forward this to all you know. this dude just scares me. his rise to power is wrong. Sent out by overnight mail, delivery confirmation, my letters to SCOTUS. Will work on the Judiciary Committee tomorrow. Brought up the fact that SCOTUS is at least going to meet in conference about BO’s eligibility at a coffee today and only ONE other person knew about this. However, this was the same person who also knew (and was infuriated!) that BO has no business referring to himself as “President-Elect” or carting around that ridiculous faux “President-Elect” seal since the Electors have not met to elect him!!!!!! I only watch the local news now and turn it off as soon as anything about BO comes on. The hairs on the back of my neck stand up….there is something about him that is just so evil. In any event, we, the people, must apply pressure on Congress to make sure that the breathtaking level of voter fraud does not happen again. 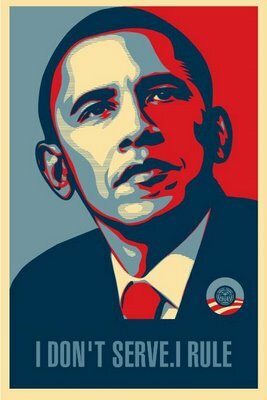 A bit off-topic…I’m suddenly see that creepy “portrait” of Obama(sans caustic logo) all over the place on cars…. It is absolutely driving me NUTS!! !